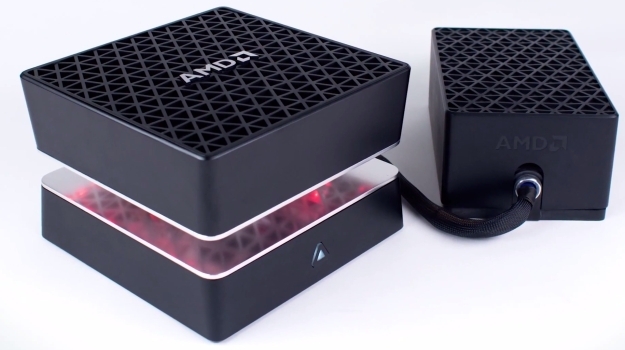 According to Czech technology website Diit, AMD’s Project Quantum is not dead. 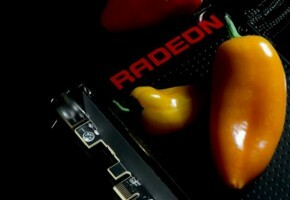 AMD still plans to release a new revision with better hardware in the future. The extraordinary design of Project Quantum, a custom built PC made by AMD for Fiji announcement, has meet some issues during production. 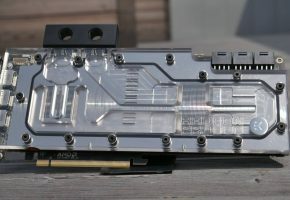 It was quickly discovered that the Project showcased at the event was actually based on Intel components (Core i7 4790K), rather than in-house AMD FX CPUs. 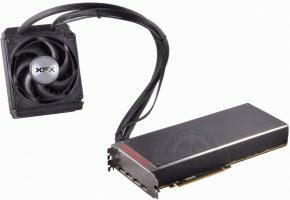 AMD later confirmed that previous revisions had in fact AMD hardware, although engineers had to face the truth that their CPUs were simply unsuitable for such a powerful graphics card that Fury X was. Of course you will immediately notice that Project Quantum was announced with dual-Fiji, but the working samples that were sent to hand-picked reviewers had, for obvious reasons, only Radeon Fury X installed. The motherboard was supplied by ASRock (Z97 Mini-ITX) and memory by Crucial. 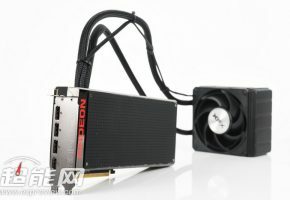 So the project was partially designed by AMD engineers and put together with high-quality components into a working device. However Project Quantum was not ready for volume production, as it had many 3D printed parts and CNC water blocks. It was however a very unique idea that many have thought would come to life. Unfortunately Quantum would not go on sale sooner than dual-Fiji card was announced, and that as you know took more time that we all expected. In a little over a week the first Radeon Pro Duo reviews will be posted, it is however very unlikely that we will see Project Quantum with Radeon Pro Duo in action. Despite that, there is still a chance that we will see Quantum return in a slightly different form. According to Diit, Project Quantum was not canceled, instead it was postponed. 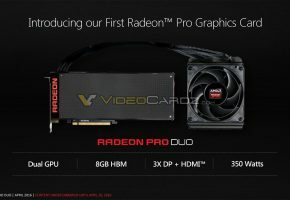 It was postponed for two reasons: the decision to sell Pro Duo as professional solution rather than pure gaming Radeon card, and lack of high-performance AMD CPU and motherboard that could be accompany Pro Duo in this form factor. 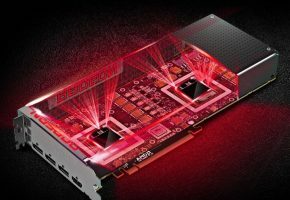 Things however may change, because AMD might still re-release Quantum with highly anticipated Zen-based CPU and Vega GPU as report suggests. The new Quantum would therefore fully benefit from 14nm FinFET technology and addition of the latest display connectors (DisplayPort 1.3 and HDMI 2.0). That makes a perfect machine for VR technology for which this project was originally intended for. It might be too early to speculate if this rumor has some solid grounds, but realistically speaking it shouldn’t be too hard to accommodate Quantum for new components.